Emma Bean joined the International Water Security Network in 2016 following a career in private practice as a real estate solicitor. Emma is undertaking a PhD on the public right to fish in English waters, supervised by Chad Staddon and Tom Appleby. 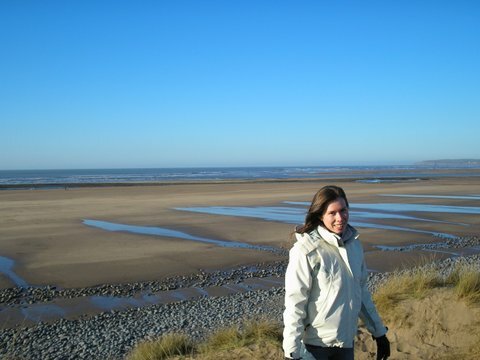 Prior to joining IWSN, Emma worked for Burges Salmon for eight years, dealing with a wide variety of real estate transactions including complex land transactions, work for the Nuclear Decommissioning Authority, in the renewable energy sector for wind and solar developer clients, and on multiple portfolios for the Crown Estate Commissioners. Since leaving private practice Emma has worked on research projects focusing on the legal aspects of a variety of water-related matters. These include a project for the Pembrokeshire Marine Relevant Authorities Group in connection with the public right to collect fishing bait and the legalities of regulating and restricting it on beaches within the Pembrokeshire coast Special Area of Conservation, and work for Plymouth University on an Historic England-funded project concerning the protection of underwater cultural heritage. Emma has also written for the Journal of Water Law on the rights (or otherwise) of the public to be defended from flooding. Emma’s PhD research involves a detailed analysis of the public right to fish both in law and in practise in order to consider the place for the public right in the future regulation of fishing activities.